This year, the Philippine-Italian Association, Film Development Council of the Philippines, Embassy of France, Goethe-Institut Philippinen, Japan Foundation Manila, Embassy of the United States of America, Instituto Cervantes, and Embassy of Austria, are extremely proud to present the 12th iteration of the International Silent Film Festival in Manila. 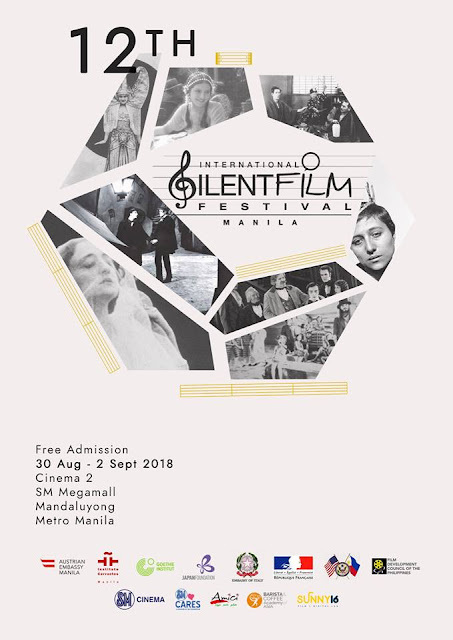 Scheduled from August 30th to September 2nd at Cinema 2 of SM Megamall, Mandaluyong City, the 2018 ISFFM brings together the very best of silent cinema from its eight member-countries, to be accompanied by the best Filipino musicians in the scene. 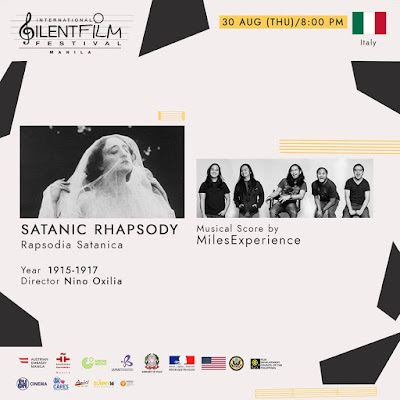 The Festival reels off at 8:00 pm on Thursday, August 30th with the Philippine-Italian Association, Italian Embassy and Italian Chamber of Commerce presenting the most important of those stylish melodramas made-in-Italy, Rapsodia Satanica (Satanic Rhapsody 1915-1917), directed by Nino Oxilia. The film tells the story of ageing Italian aristocrat Dame Alba d’ Oltrevita who discovers a particular and special solution for her beauty by forging a pact with the devil. 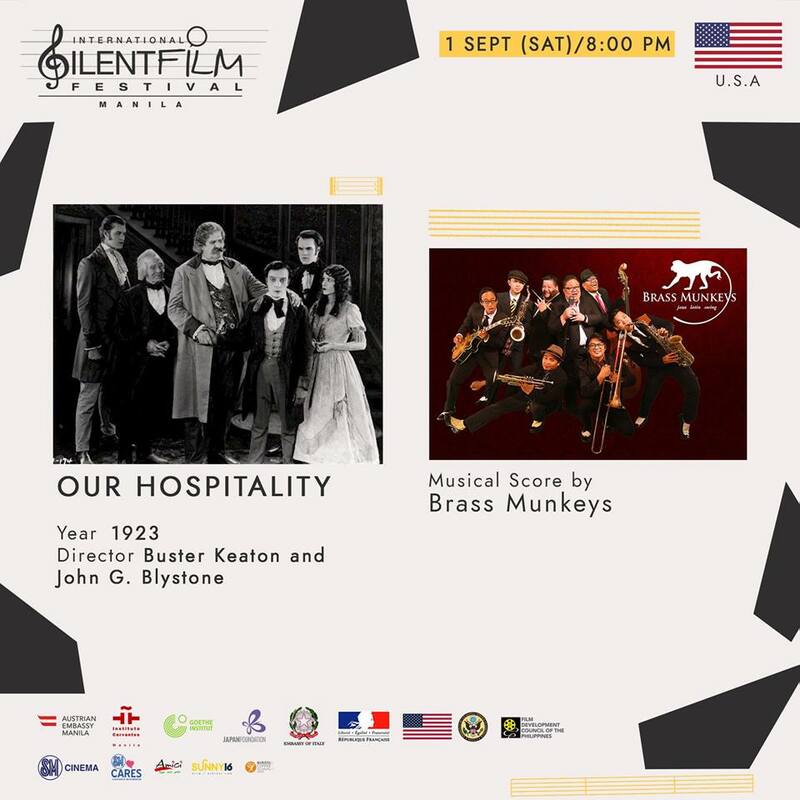 The blues band Miles Experience will accompany this film with a live performance. On Friday, August 31st, at 7:00 pm, the Film Development Council of the Philippines will present a unique offering in The Lost Film Triology which is composed of “Filipiniana,” “Aswang (1933),” and “Juan Tamad Goes to the Moon (1898)”; and an excerpt from “Nitrate: To the Ghosts of the 75 Lost Philippine Silent Films (1912-1933).” A live musical performance by Khavn & the Kontra-Kino Orchestra will accompany the film. On Saturday, September 1st at 4:00 pm, the Goethe Institut will screen The Cabinet of Dr. Caligari (1920), dubbed as “the first true horror film.” Directed by Robert Wiene, the film tells of a mad doctor suspected of sending a corpse on a killing spree. 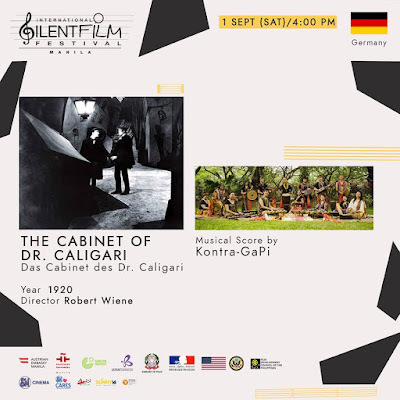 The movie will be live scored by Kontemporaryong Gamelan Pilipino, widely identified as Kontra-GaPi. 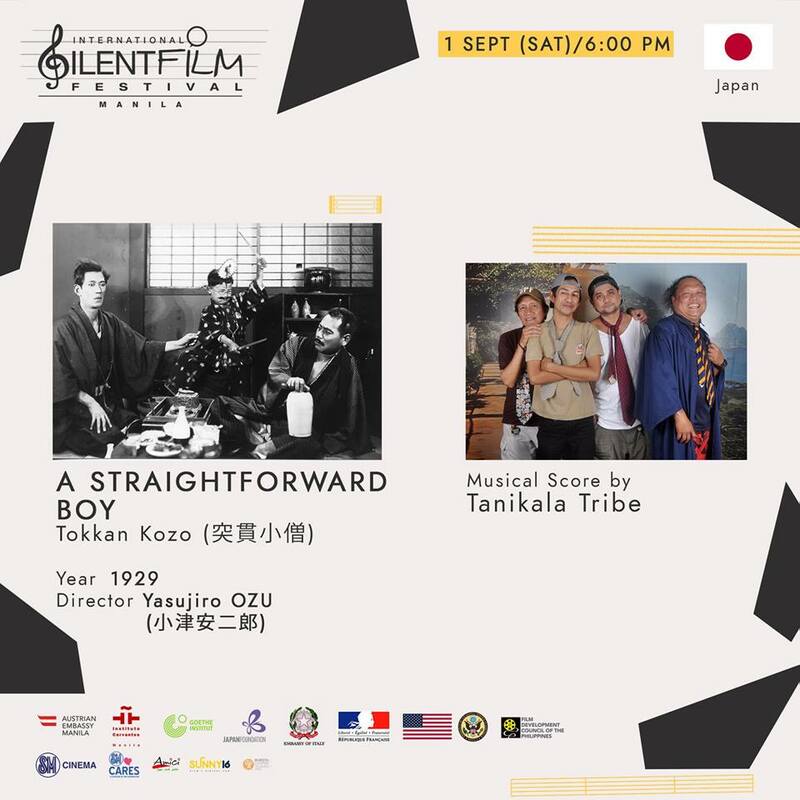 At 6:00 pm, the Japan Foundation Manila will screen A Straightforward Boy (1929) by Yasujiro Ozu that tells a story of Bunkichi who kidnaps a boy, Tetsubo, who has an appetite for sweets. 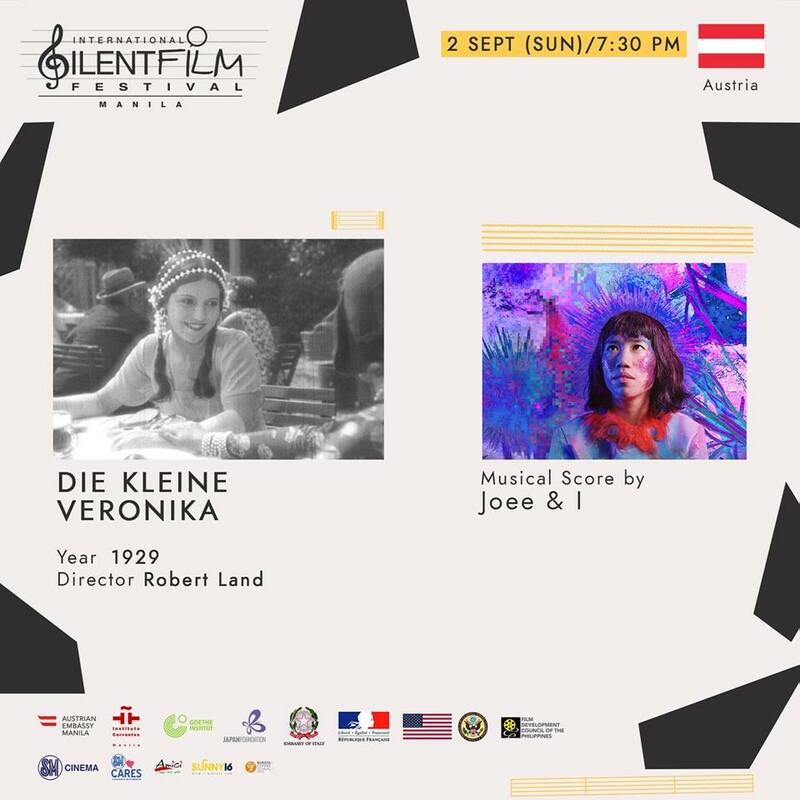 This screening will feature Silent Film Narrator Tito Genova Valiente, who will provide a live interpretation of the silent film. The screening and narration will be accompanied by contemporary pop folk/ethnic sound group Tanikala Tribe. 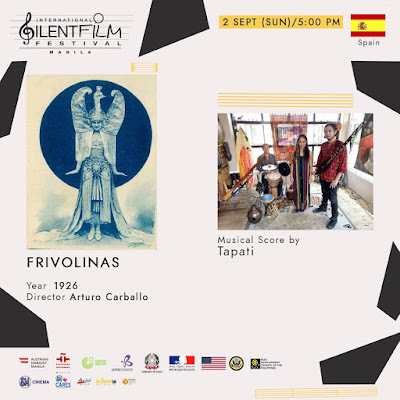 On Sunday, September 2nd at 5:00 pm, Instituto Cervantes will present the musical comedy Frivolinas (1926). Directed by Arturo Carballo, Frivolinas is about a widower who loves the nightlife, and a comedian who falls in love with the old man’s daughter. Tapati, a collaboration of artists embracing influences of rock, reggae, blues, jazz, pop, folk and Philippine Neo-ethnic tribal music will accompany the film. 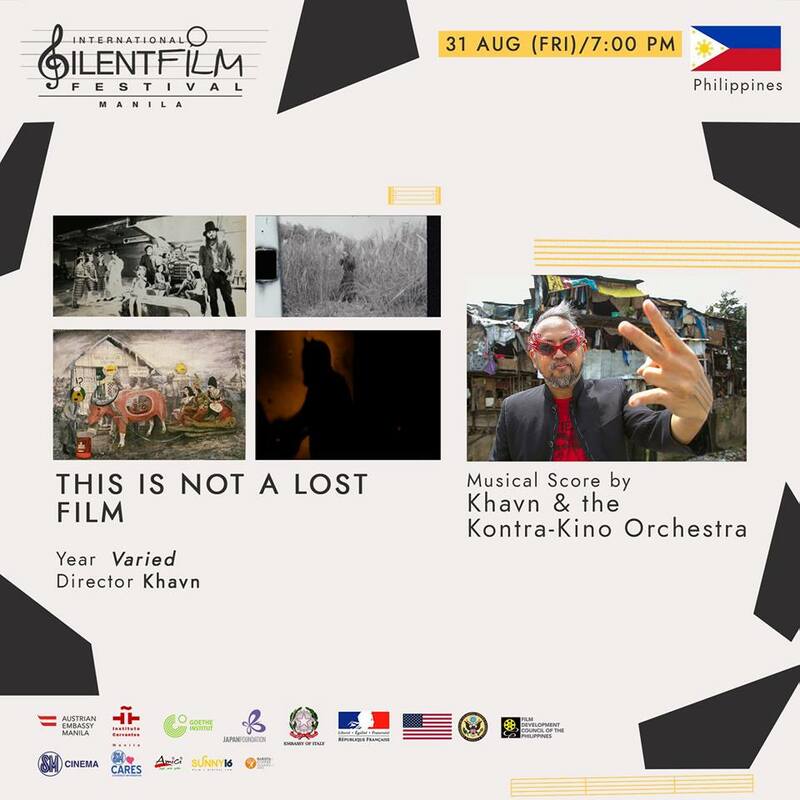 This year's film festival experience will have a unique addition, an exhibit at the SM Cinema lobby. 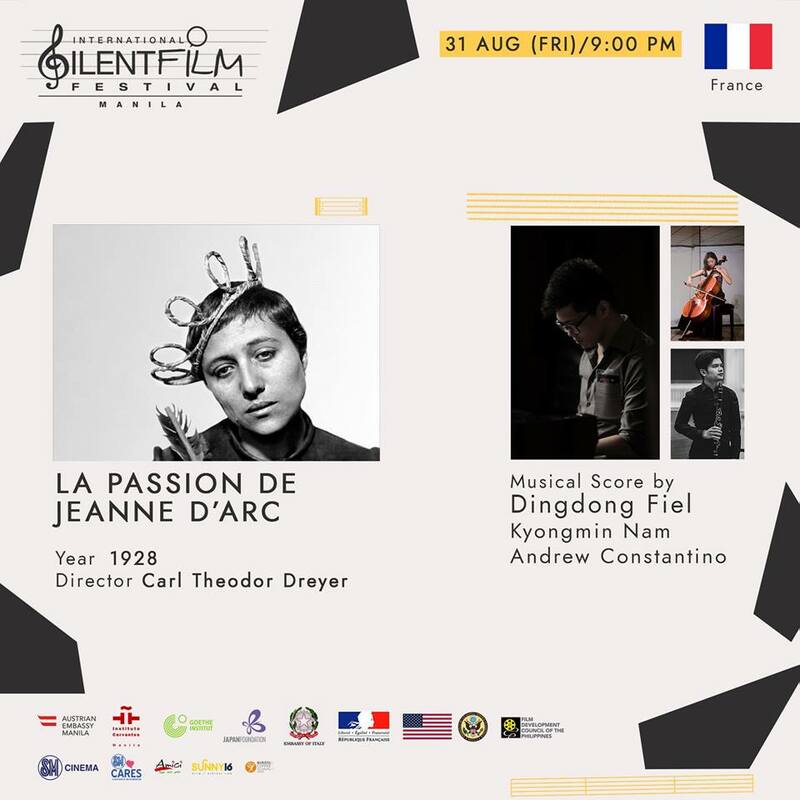 The exhibit will be presenting a visual installation of this year’s participating films.